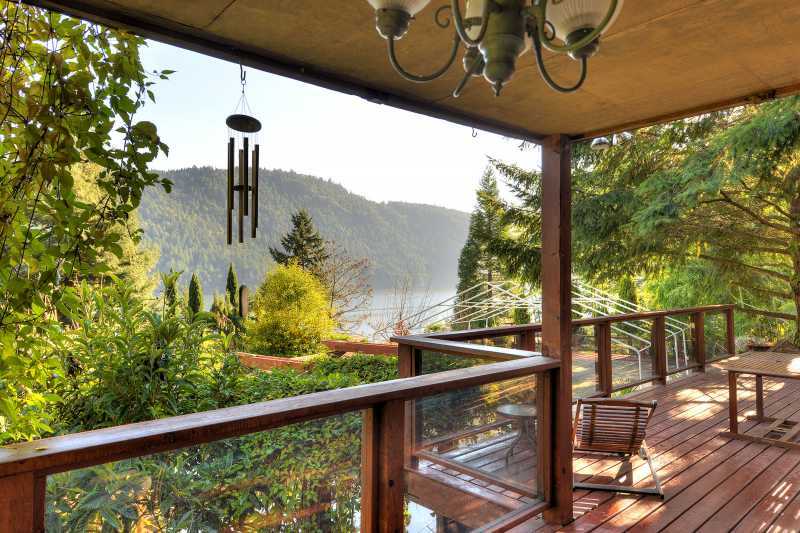 Looking over the Saanich Inlet near Victoria, BC is Morningside Glass House. 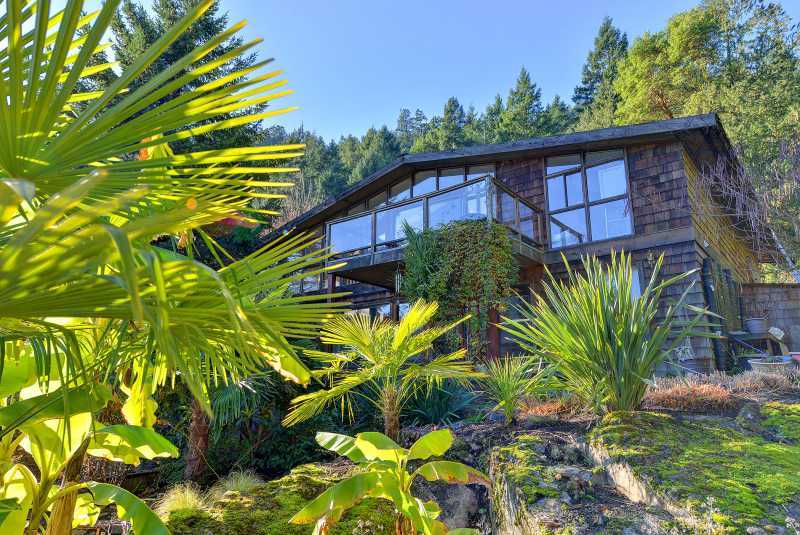 A beautiful West Coast contemporary designed home. 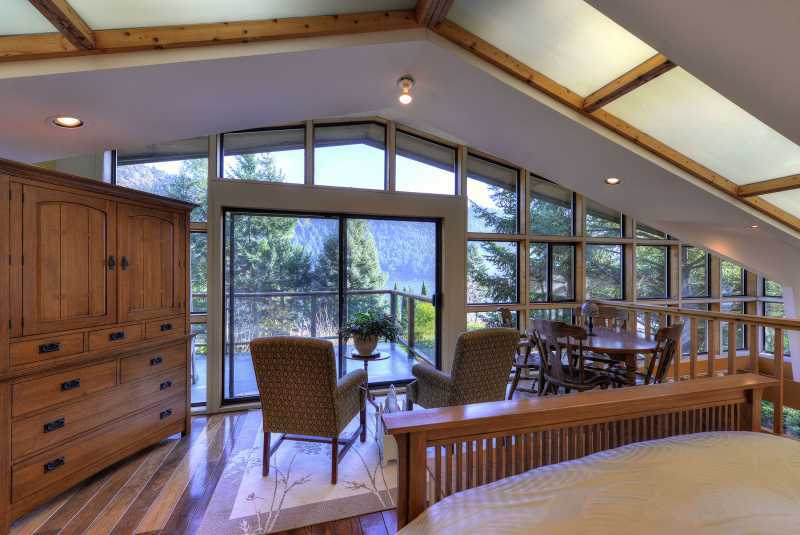 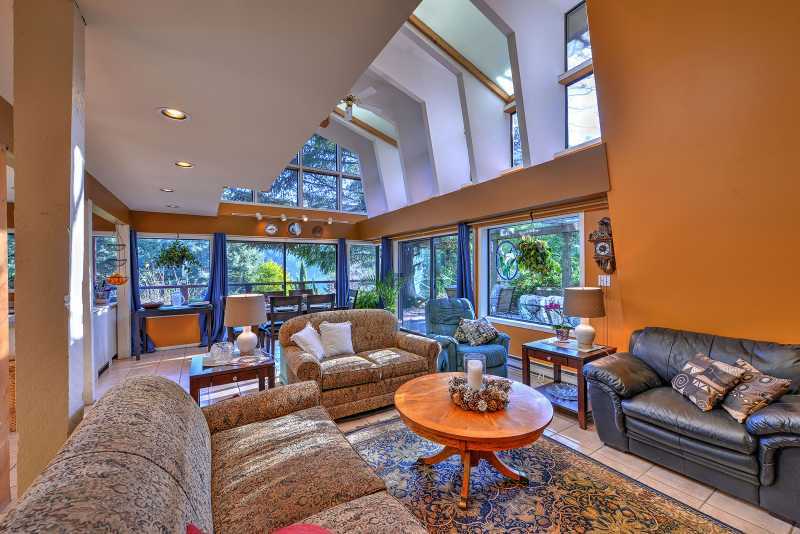 Floor to ceiling windows, vaulted ceilings and an amazing view are here to welcome you. 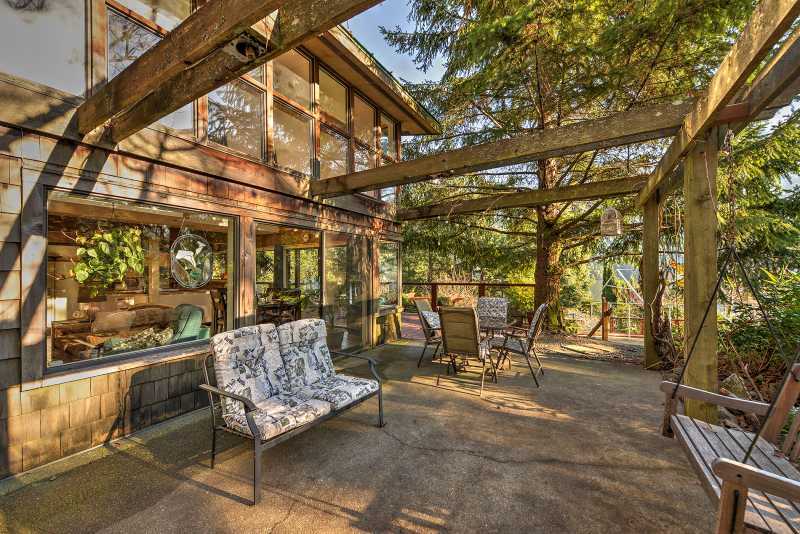 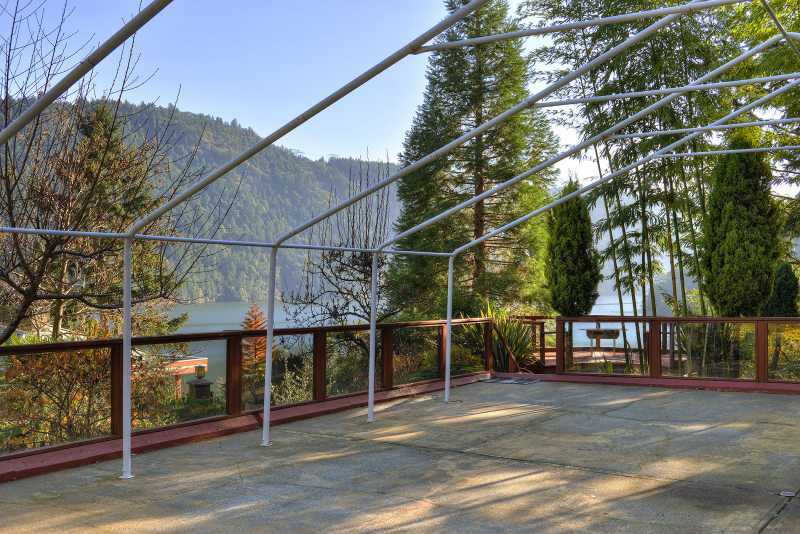 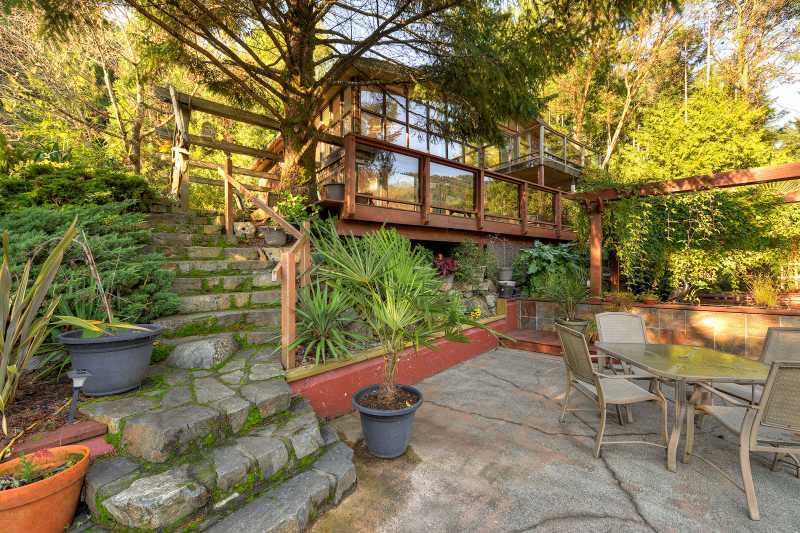 Located just off of the Malahat, Morningside Glass House provides a secluded escape but still just minutes from Langford with all the shopping and amenities required. 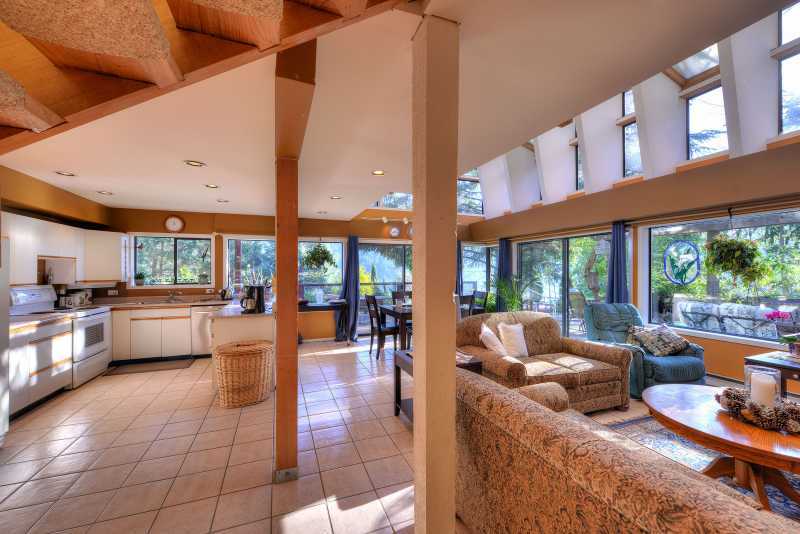 Once inside Morningside Glass House, you'll first notice the open concept layout with an abundance of natural light coming from the wall of windows. 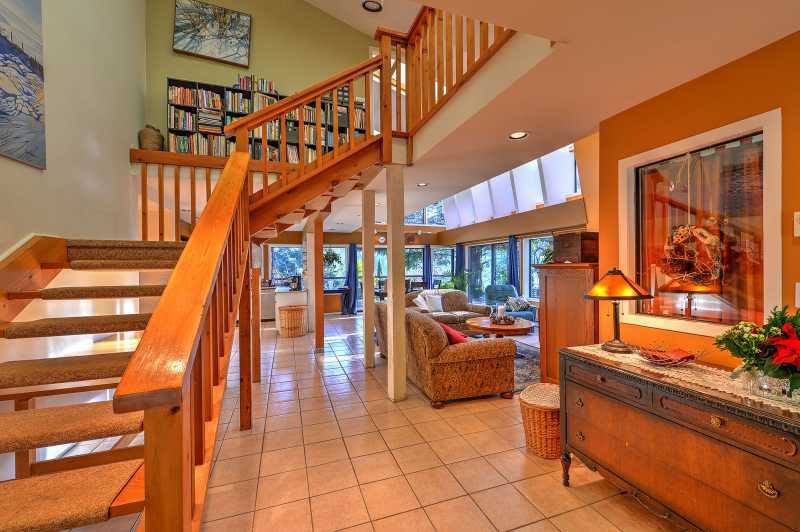 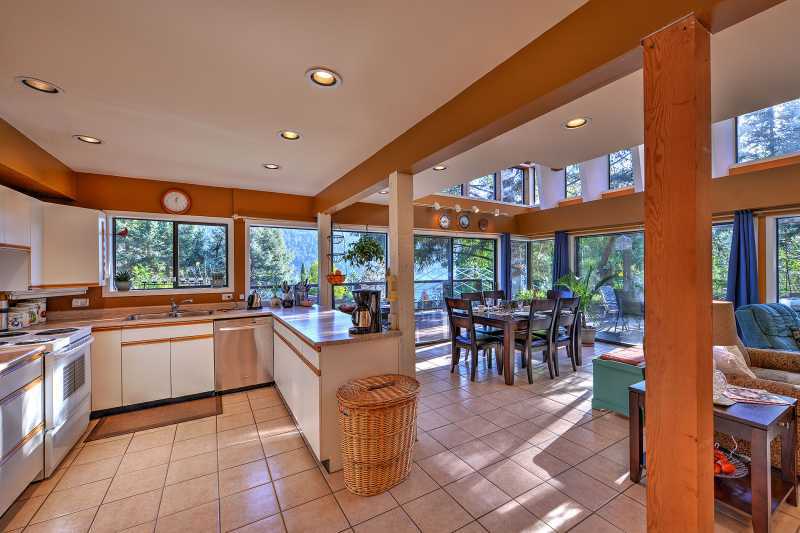 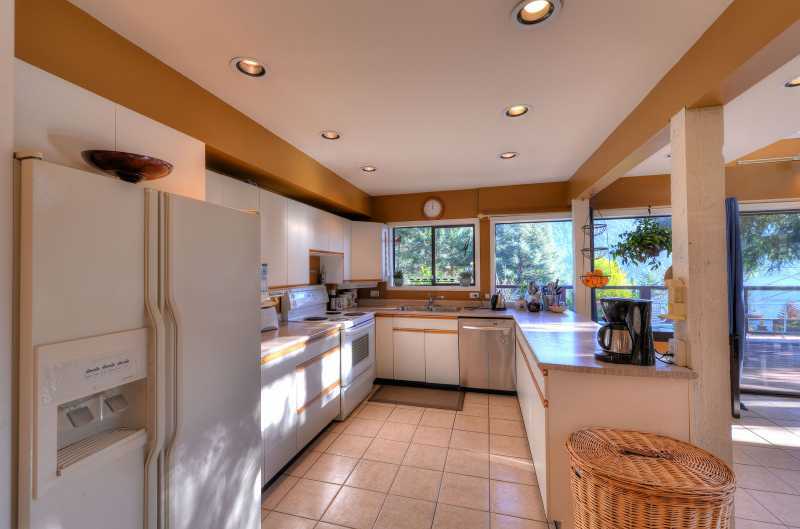 The kitchen, living room and dining room can accommodate a large family and friends alike. 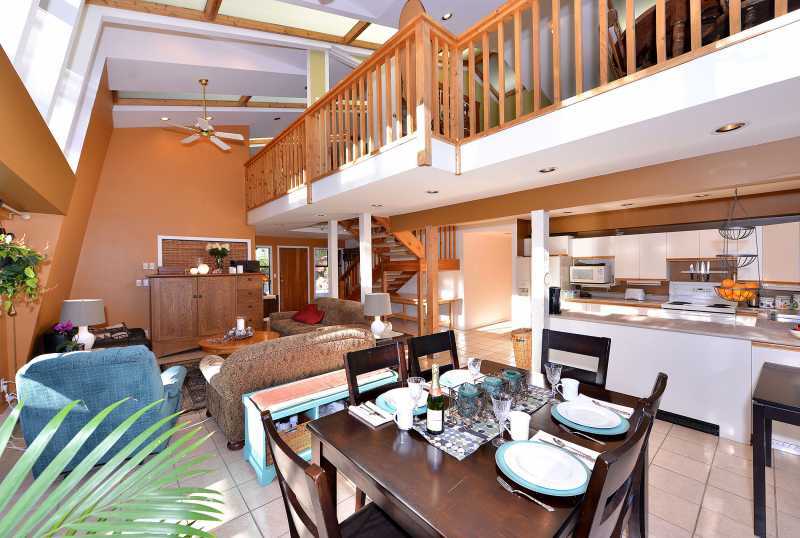 Four bedrooms and two bathrooms can also house up to 8 people comfortably. 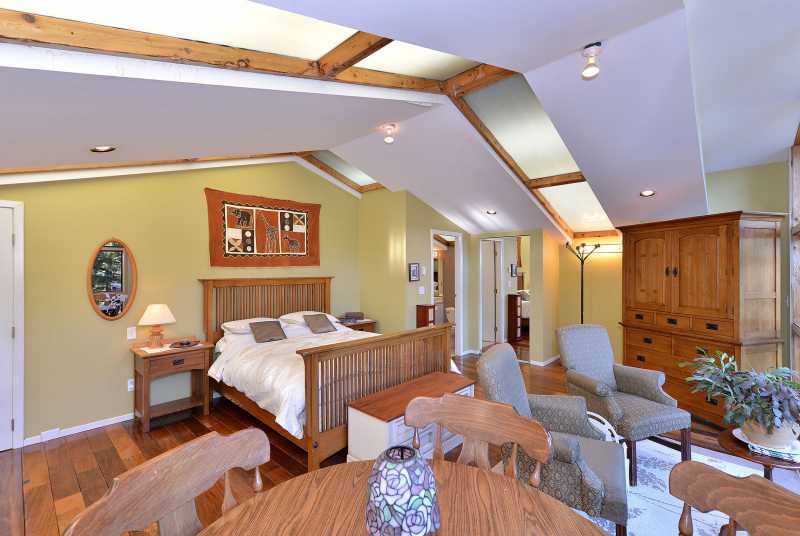 The master bedroom is very large with a sitting area, private deck and Jack and Jill bathroom.The other two bedrooms are also located on the second level. 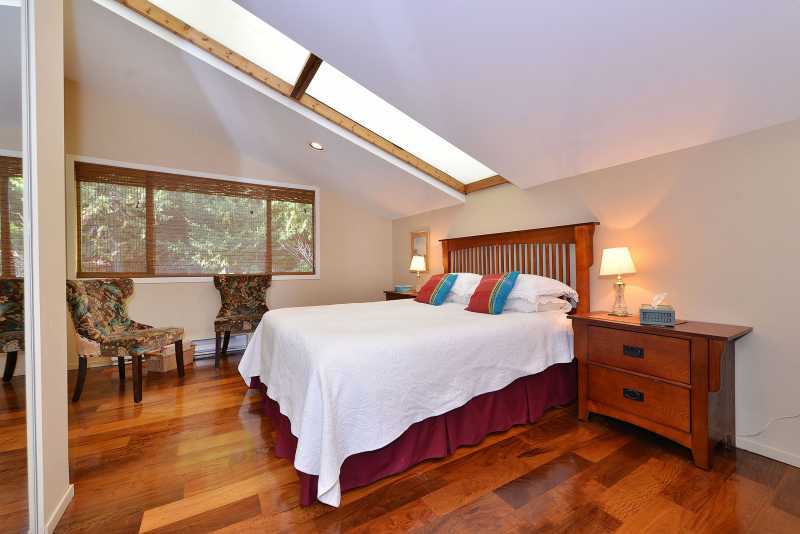 One containing a queen size bed. 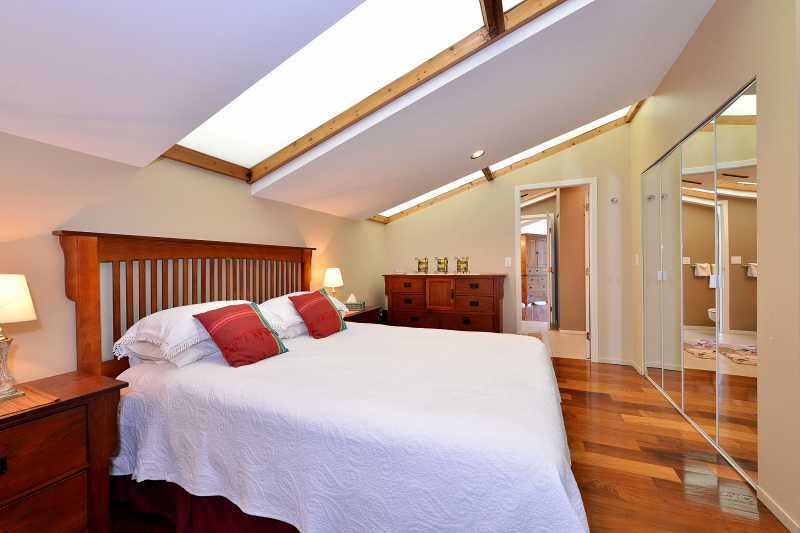 The third bedroom has a double bed. 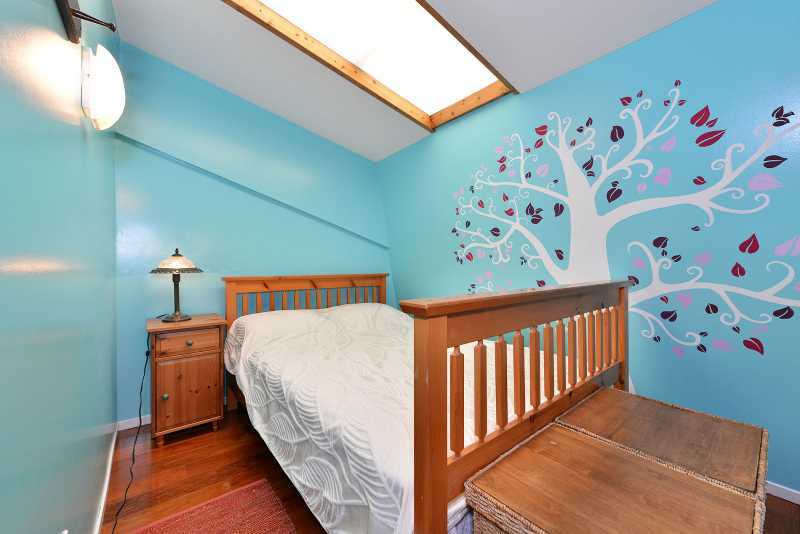 The last bedroom is local on the main level and has bunk beds perfect for children. 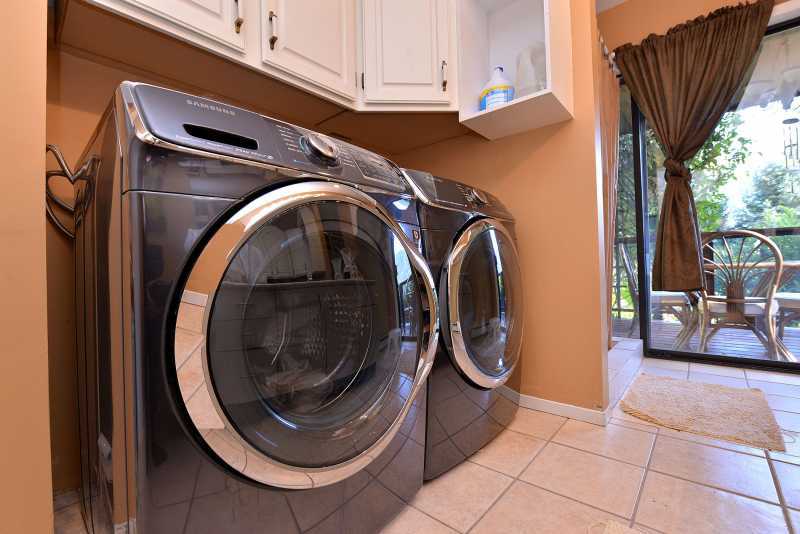 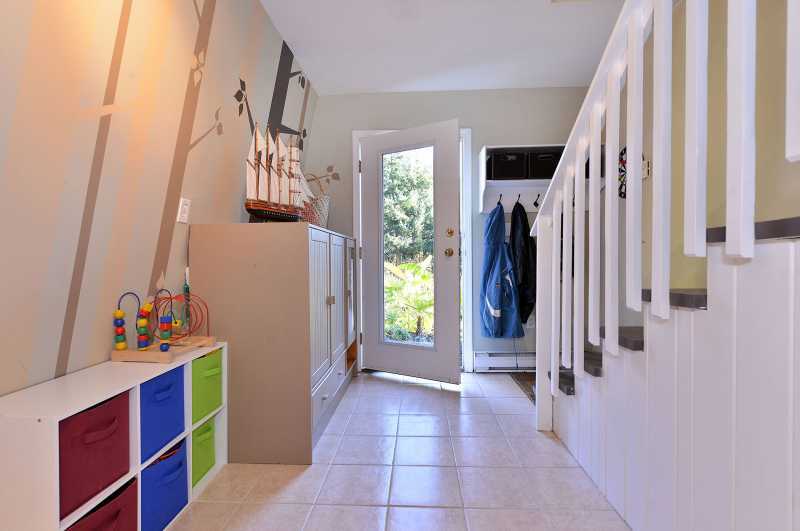 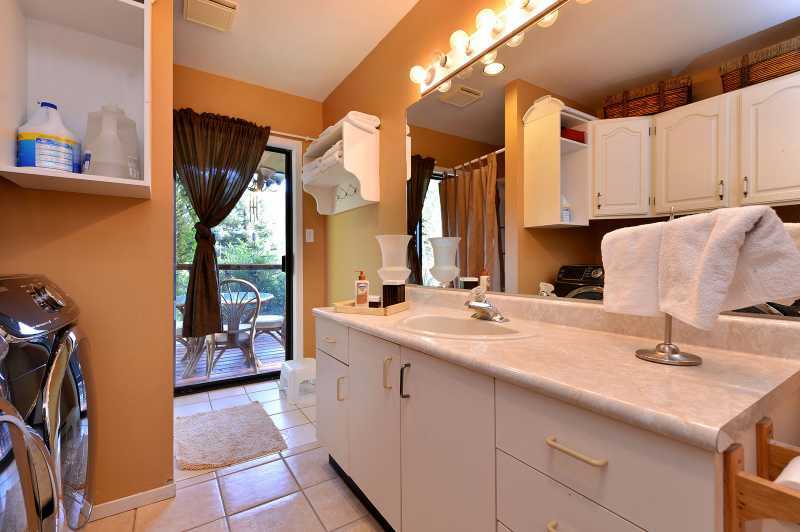 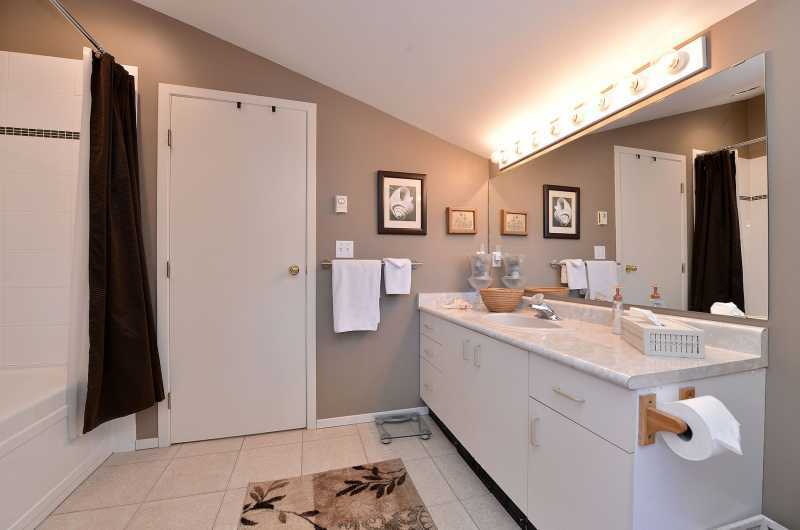 The second bathroom is located on the main level which also doubles as a laundry room with updated washer and dryer. 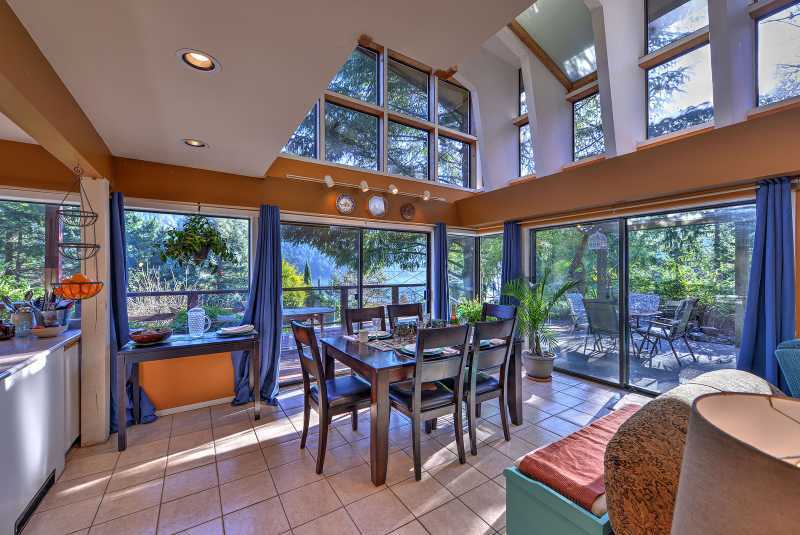 Outside you will be able to enjoy the scenery at various spots including a stone patio complete with a decorative pond or a much larger patio area perfect for a family BBQ and gatherings. 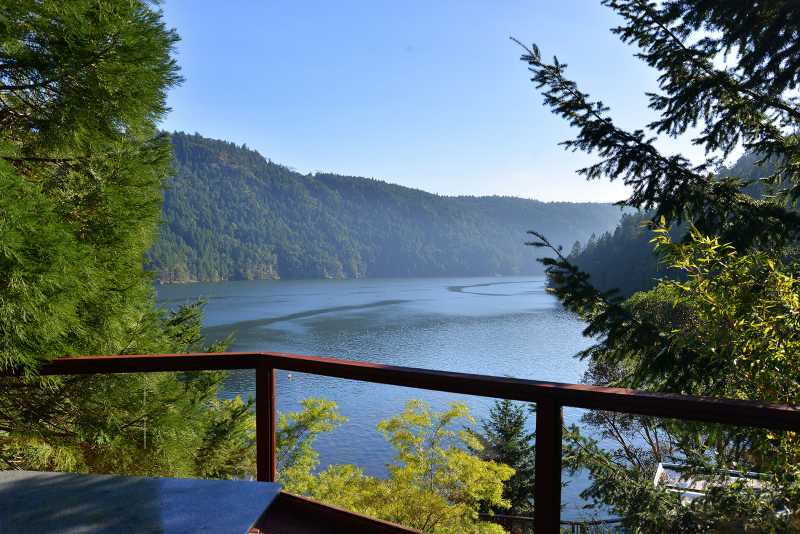 Don't forget to take advantage of the look out or the common area dock on the ocean providing views to the water and occasionally a pod of killer whales swimming by. 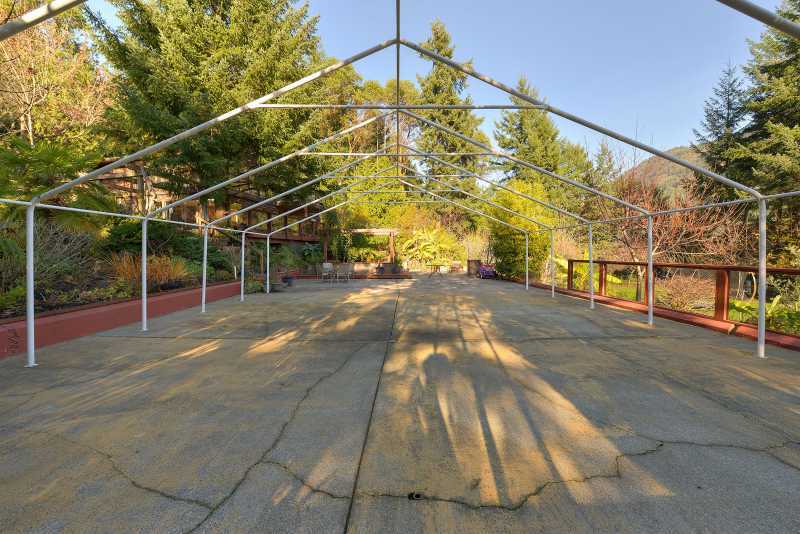 Should you need more space for family or friends, there is an additional home on the property located just down from Morningside Glass House which can be reserved in conjunction with Morningside Glass House. 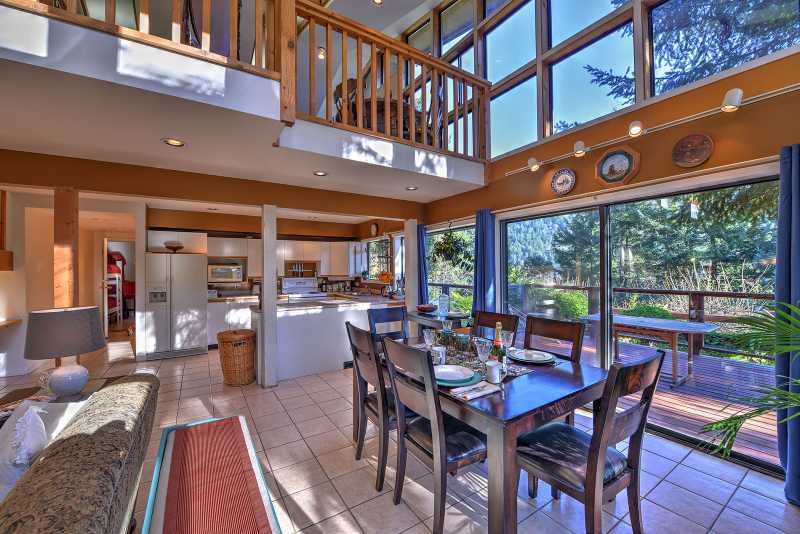 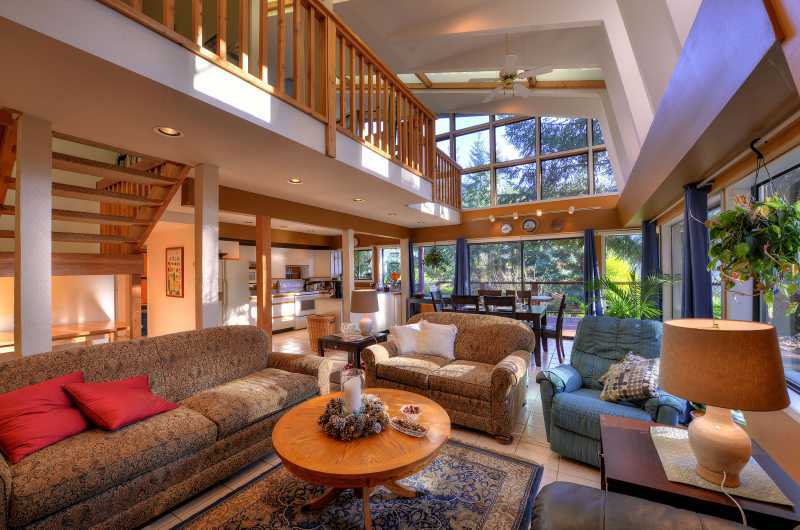 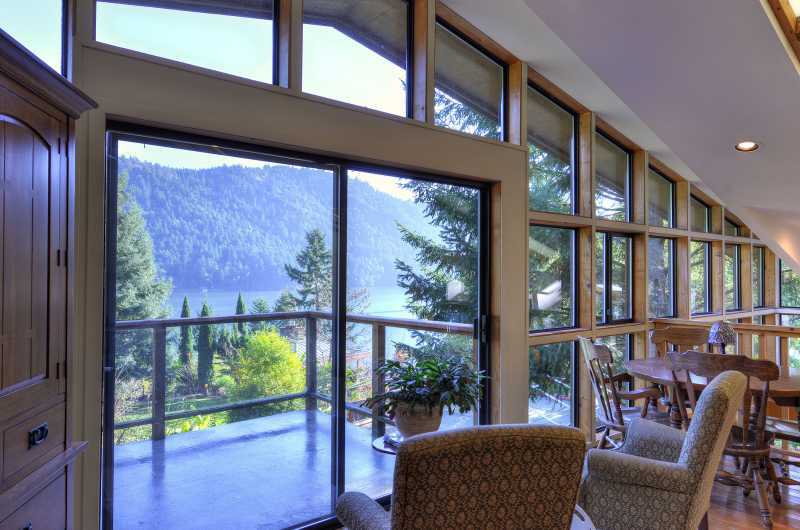 Morningside Ocean Estate is one of British Columbia's premier vacation rental homes. 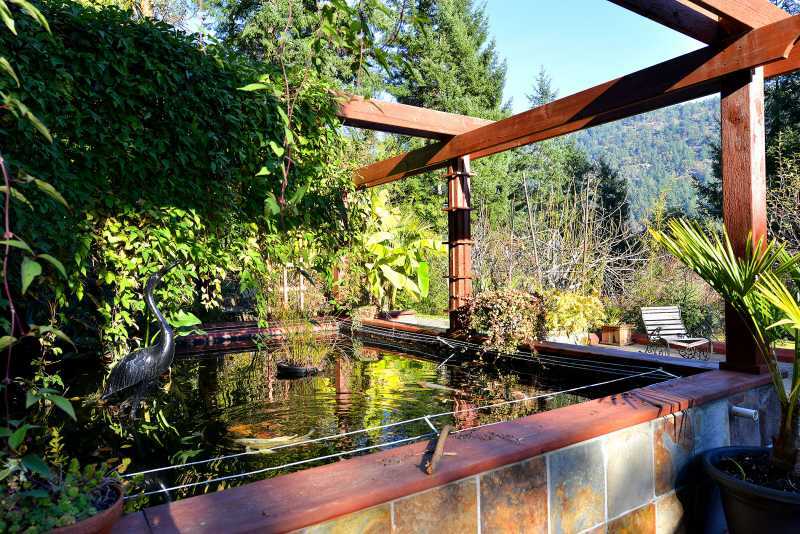 Achieving magic with nature and architecture meeting in perfect harmony. 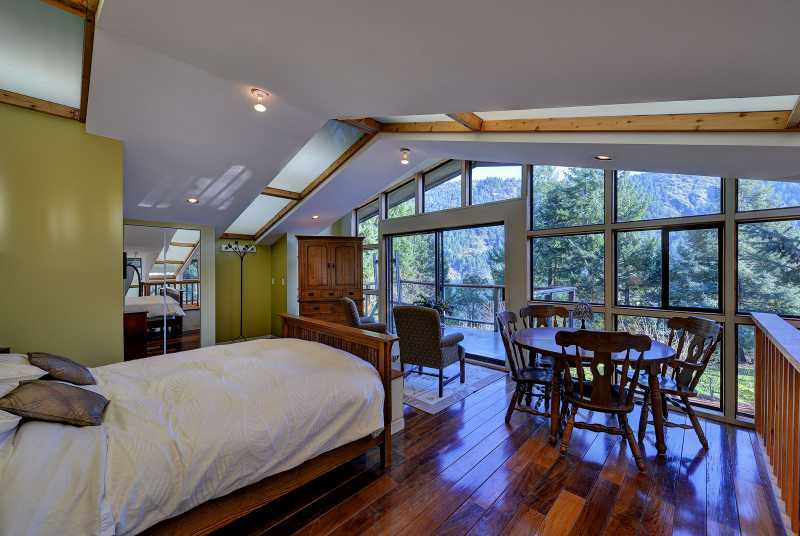 The main house is a 5 star five-bedroom dwelling crafted out of rock and glass for the most discriminate of travelers. 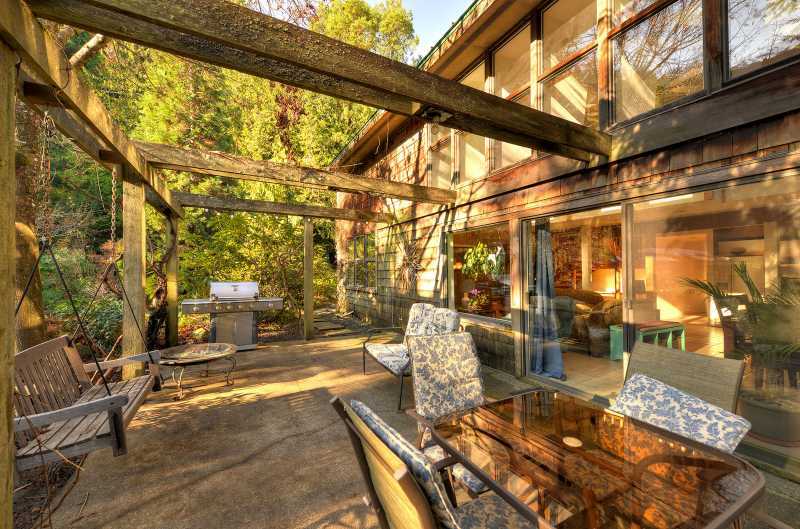 As the climate in Victoria is so mild, it is a welcomed destination by many. 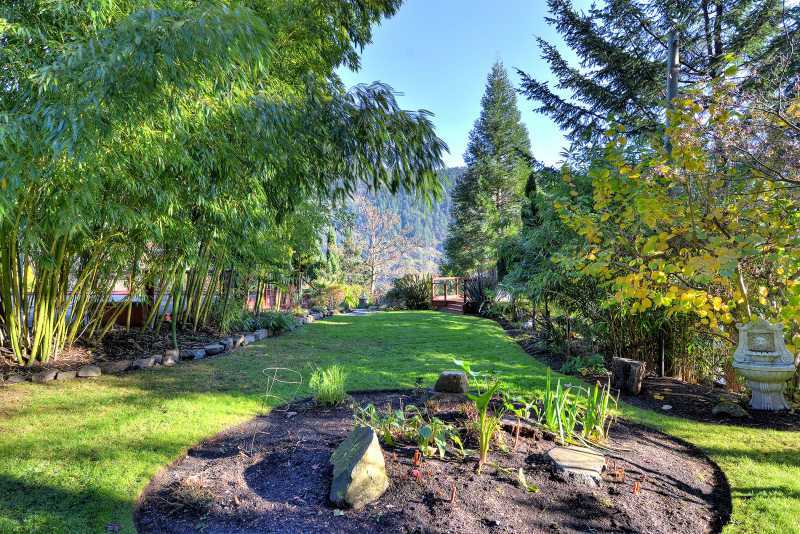 Warm summers and winters without much snow, the outdoors can be explored all year round. 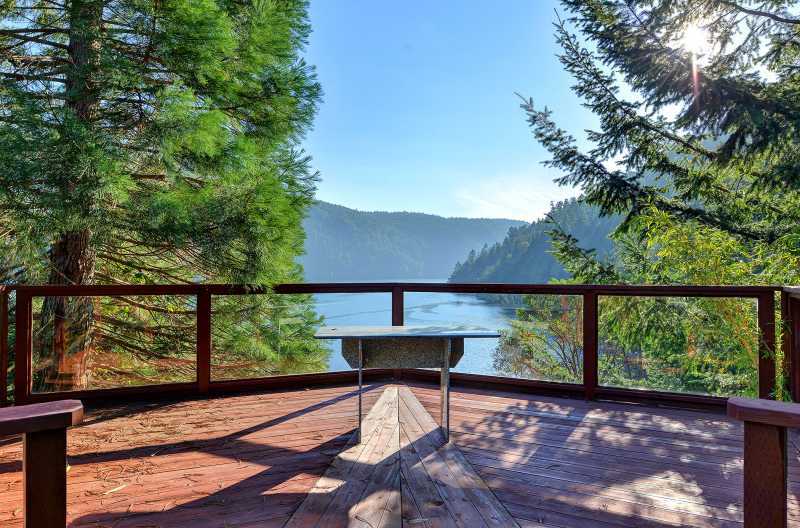 There are many hiking trails, provincial parks, lakes and the ocean shore to discover. 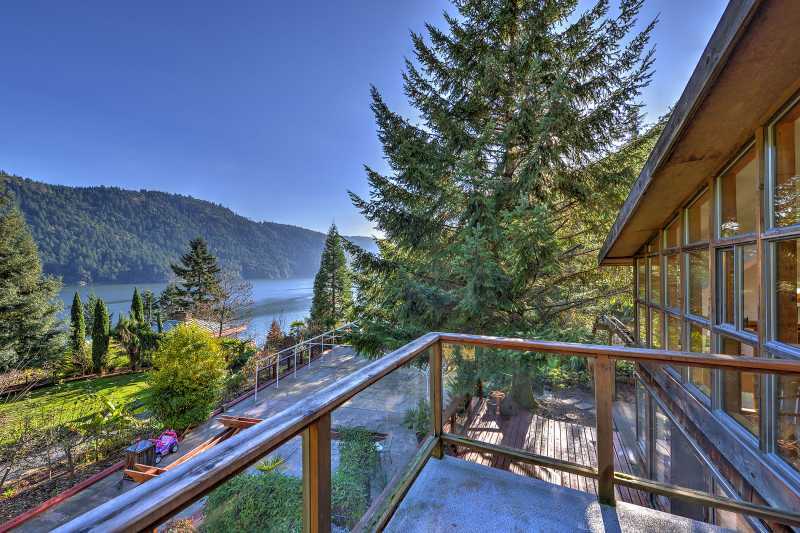 Alternatively, you can drive into the downtown core and experience the many historical buildings, the Inner Harbour or venture out to Sidney to visit the ever popular Butchart Gardens and Butterfly World. 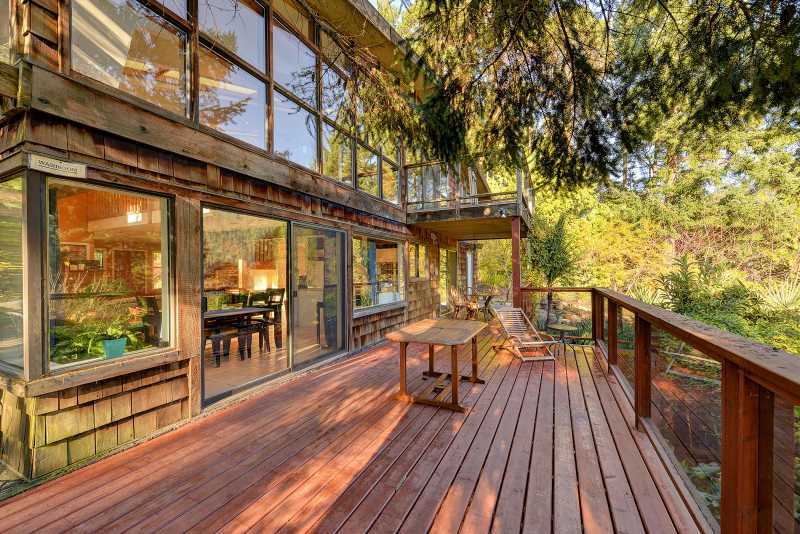 If you crave the West Coast experience and need space for eight or possibly twenty six people, Morningside Glass House combined with Morningside Estate is a perfect spot to unwind, relax and enjoy the nature surrounding it all.